We still have a couple of places available for the November Workshop on Saturday 27th November at the Bailgate Methodist Church Hall. 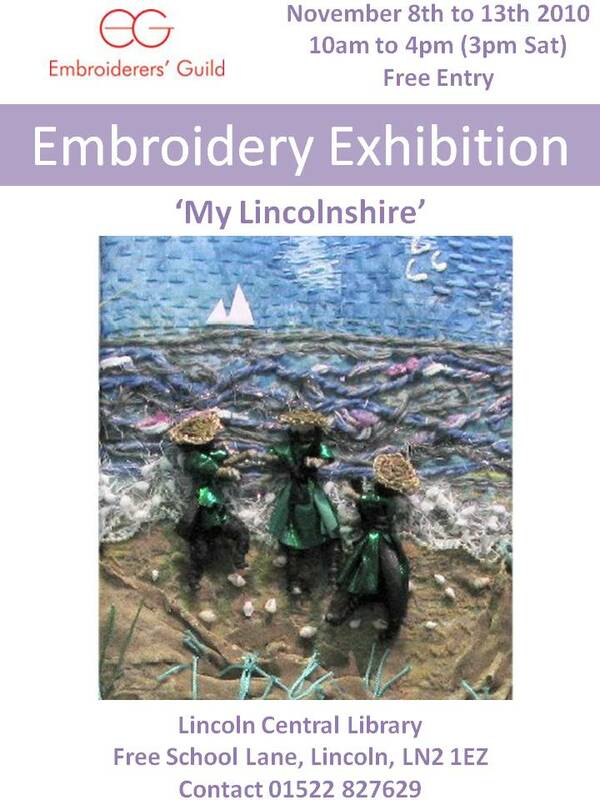 The workshop is being run by Janice Williams and we will be doing a Goldwork Embroidered Butterfly. Cost is £20 for EG members or £25 for non-members. If you are interested in attending please let Jacqui Armitage know. If accepted, you will need to bring a packed lunch. Tea/coffee/biscuits will be available throughout the day. The workshop starts at 10:00 and goes on until 16:00. If you have any goldwork supplies, please bring these with you, along with any beads, spangles etc. There will be an opportunity to purchase supplies as well; and remember your sewing kit! 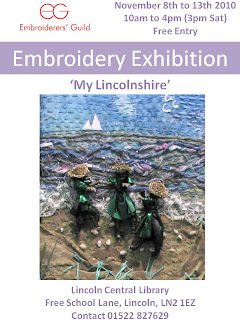 There's lots of embroidery to see, including work by the Young Embroiderers. We've also got a sales area - threads, cards, beaded jewellery. Some of the work is for sale too. It's on from 8th to 13th November.